Celebrating 40 Years of Serving Sarasota's Roofing Needs! 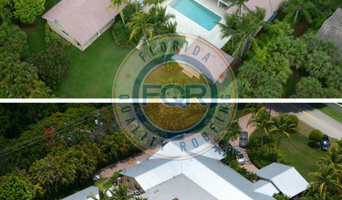 A-1 Property Services is the leading Miami roofing contractor for both residential and commercial properties. Our complete range of services makes us the roofer Miami turns to for any roofing need. We specialize in repair and replacement for shingle, tile, metal and flat roofing systems. Because A-1 Property Services never hires subcontractors to install our roofs, you are assured of better quality control, superior craftsmanship and more responsive service. Our service locations include Miami, Miami Beach, Coral Gables, Fort Lauderdale, Weston, Pembroke Pines, the Florida Keys and the surrounding areas. 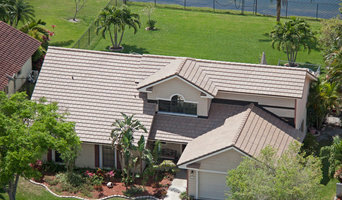 Roofing Max Inc. is one of Florida’s fastest growing full-service roofing companies in South Florida. With over 22-years of roofing experience, we are focused on providing the pinnacle in customer care and service, while never sacrificing on quality roofing materials or work. We stress transparency and communication at every stage of the process. Roofing Max Inc. concentrates on listening to our customers’ needs to ensure that we provide each client with the best roof at the right price. We are not interested in quantity roofing, but quality roofing. We don’t try and over or up-sell, we simply offer the best materials and craftsmanship, while offering the best home protection in the industry. Chase N' Leaks for over 16 years where roof repairs are our specialty! From planning to completion, our craftsman and staff are responsible for every roofing project we take on South Florida. We have earned a reputation for prompt, dependable roofing service, for quality work using the best materials, for competitive costs, and a high level of business integrity. We are proud to be Owens Corning Platinum Contractors. Only Platinum Contractors are able to offer a Lifetime Shingle Warranty for both labor and materials and backed by the manufacturer. We have a proven track record of completing quality projects, passed stringent legal and credit checks and offer home improvement financing. We have also met local requirements for licensing and insurance. We are also committed to submitting all warranty registrations on your behalf. Just one more thing we do to make it easier for our homeowners. Whether you are remodeling, adding on to your existing home, or building a new house, we have all the roofing products to meet your needs. We are a roofing company in Miami Florida who choose to provide prompt service and clean up after the job is done. If your roof is leaking or in need of being replaced, give us a call today. Roofing and gutter contractors in Miami, FL can install a new roof, repair an old one or extend an existing one, as well as repair and replace gutters. They can inspect roofs and guttering after damage from harsh weather, and also offer services such as roof insulation, and general maintenance such as roof and gutter cleaning. Some specialise in specific types of roofs, such as tile, metal or Colorbond roofing. Here are some related professionals and vendors to complement the work of roofing & gutters: Building Project Managers, Specialty Contractors, Cladding & Exteriors, Doors, Garage Doors. 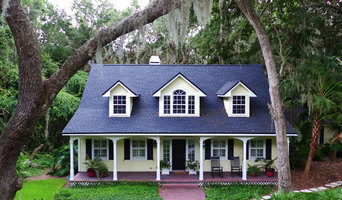 Find a roofing company and gutter professional on Houzz. Narrow your search for professionals by selecting your nearest city or postcode. Look at portfolio and product photos, and read reviews to find the best roofing company and gutter professional for your Miami, FL home.